Smith Park, T. E. McDonough, Judge Cammack, Mr. Weaver, Pres. Donovan. 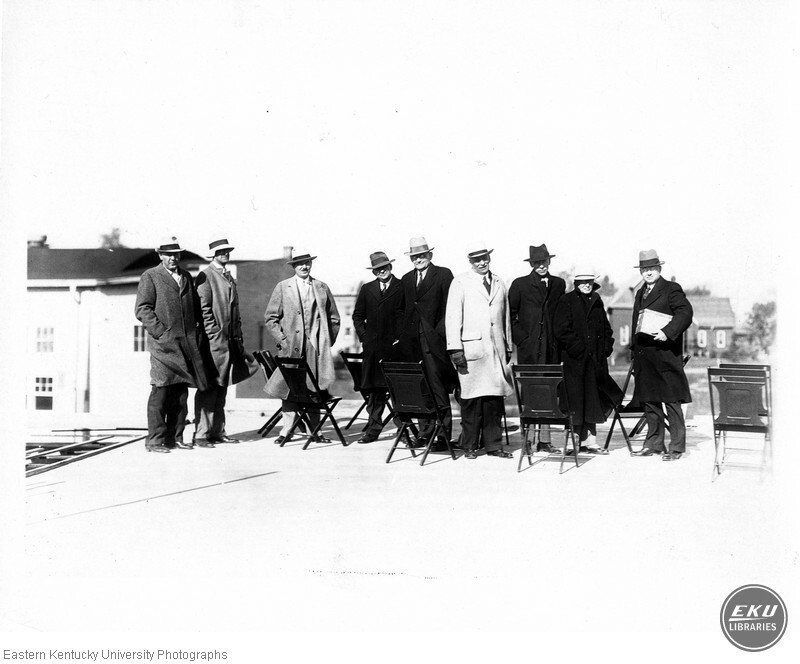 “Standing on Weaver building, under construction,” Digital Collections, accessed April 24, 2019, https://digitalcollections.eku.edu/items/show/44400.